Thomas Bayrle: One Day on Success Street Catalogue at ICA Miami. “One Day on Success Street” traces German Pop artist Thomas Bayrleʼs exploration of the profoundly complex impact of technology on humans and their environments over the course of his nearly 50-year career and across a range of mediums including painting, sculpture, video, collage, and installation. Featuring over 100 works from the 1960s through to the present day, this monographic catalogue accompanies Bayrle’s first US solo museum presentation, and highlights Bayrleʼs focus on the experience of the urban citizen and the artist. Essays contextualize the artist’s work over the last half-century through investigations of the re-building of Europe, and its relationship to the construction of ideology, technology and culture. 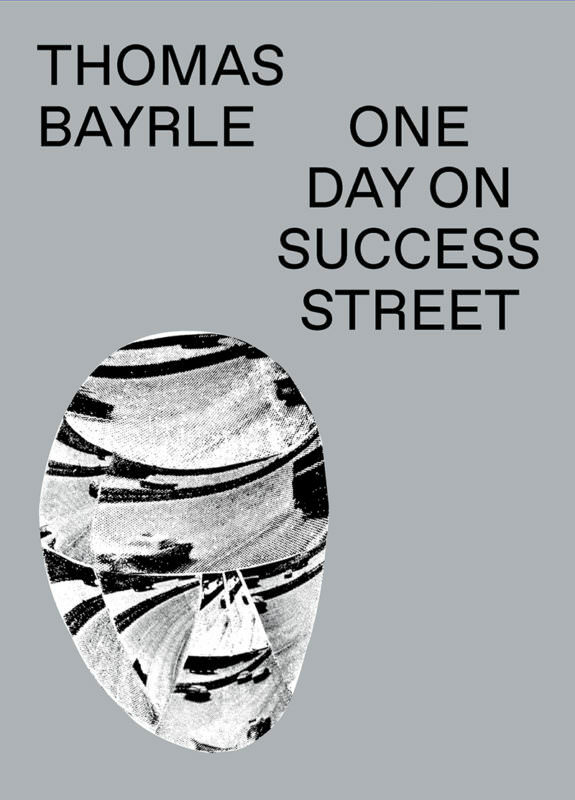 This catalogue was published on the occasion of the exhibition “Thomas Bayrle: One Day on Success Street” organized by the Institute of Contemporary Art, Miami, and curated by Alex Gartenfeld, Deputy Director and Chief Curator, and Stephanie Seidel, Associate Curator. Nov 29, 2016–Mar 26, 2017. This exhibition was funded through the Knight Contemporary Art Fund at The Miami Foundation. Major support was provided by Deutsche Bank; Saks Fifth Avenue; the Arlene H. & Laurans A. Mendelson Charitable Foundation; and the Ray Ellen and Allan Yarkin Fund for Exhibitions at ICA Miami. Additional support was provided by Galerie Barbara Weiss, Berlin; and the Miami-Dade County Department of Cultural Affairs and the Cultural Affairs Council, the Miami-Dade County Mayor and Board of County Commissioners.